The property features bright, simply decorated rooms. Guests can use a shared bathroom. 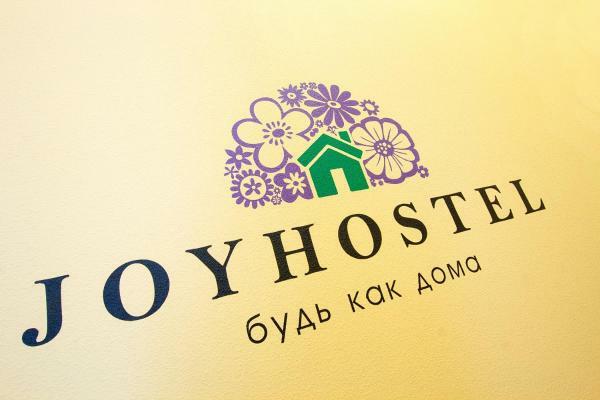 Hostel Joy is located in Saint Petersburg, within a 10-minute walk of Vladimirskaya Metro Station. Free Wi-Fi access is available. Nevsky Prospekt and the Hermitage are 3 km away. Moskovsky Train Station is within a 10-minute drive and Pulkovo International Airport is 21.5 km away. At Hostel Joy you will find a 24-hour front desk and a shared kitchen. The property also offers laundry facilities. A bright, simply decorated room. Guests can use a shared bathroom. Not a bad hostel. Close to the centre. Went to son the oath! Stopped in "Untold joy", the name itself justifies! and not a little, it is important not to put us out of our rooms by timeout, and offered to pay. Pilgrims are welcome in the hostel. All children under 12 years are charged 400 per night for extra beds. All further older children or adults are charged 450 per night for extra beds.